Swords (from Irish: Sord or Sord Cholmcille) is the county town of Fingal and a satellite of Dublin, Ireland. One of the larger settlements of Greater Dublin, the town is the closest to Dublin Airport, and is home to one of the Dublin region's larger shopping centres, extensive other retail facilities, and a range of industries. Lying on the Ward River, it features a restored medieval castle, a holy well from which it takes its name, a round tower and a Norman tower, presumably built by the same Normans who constructed the castle. The name "Swords" is also applicable to a townland,[N 2] to the civil parish, within the historic County Dublin, and to the local electoral area. The town's origins date back to 560 AD when it was reputedly founded by Saint Colmcille (521–567). Legend has it that the saint blessed a local well, giving the town its name, Sord, meaning "clear" or "pure". However, An Sord also means "the water source" and could indicate a large communal drinking well that existed in antiquity. St. Colmcille's Well is located on Well Road off Main Street. Sord may also refer to a "sward", an 'expanse of grass'. The most ubiquitous landscape indicators of early Christian settlement are the ecclesiastical enclosures, and in the case of Swords, the street pattern has been influenced by the circular alignment of the settlement. The medieval town developed in a linear pattern along Main Street in a north – south direction. Swords has one of the best examples of this settlement pattern in the Dublin region. The round tower, 26m in height, is also an indicator of early Christian settlement. The Irish high king Brian Boru is said to have had his funeral at the church on the Spittal hill after he was killed at the battle of Clontarf; this was of course before the hospital and even the Church of Ireland when there would have been a small chapel there along with the round tower. At the northern end of the street stands Swords Castle, 200m northeast of the ecclesiastical site, which was built in the early 13th century. A short distance north of the Castle is an elevation known as Spittal Hill, where a hospital once stood. 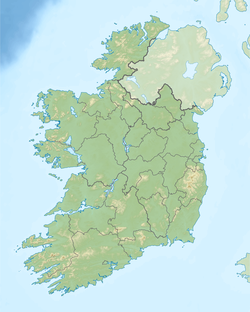 In 1994, Swords became the county seat of the new county of Fingal after the abolition of the former County Dublin as an administrative county. In 2001, upon the completion of the County Hall, senior executive offices moved there from Parnell Square in Dublin city centre. In June 2006, the RNLI Ireland officially opened its new all-Ireland headquarters at Airside Business Park, within greater Swords. It was officially opened by President Mary McAleese. In attendance at this Presidential ceremony was Admiral Sir Jock Slater, RN, a former British First Sea Lord then serving as Chairman of the Executive Committee of the R.N.L.I..
Fingal County Council's Strategic Vision for Swords is to create a sustainable "new city." The Council has referred to Swords as an "emerging city" and it projects that the population of Swords will rise towards 100,000 by the year 2035. The town is the seventh largest urban area in the country, and the third largest in County Dublin, after Dublin City and Tallaght. In 2012, Swords was named the third best town in Ireland to live in. The survey conducted by Retail Excellence Ireland took into account safety, retail, dining, entertainment, events, car parking and overall attractiveness of the town. Since the mid-1990s Swords has seen improvements in shop fronts, public buildings and footpaths and the restoration of Swords Castle. In 2003 the Irish Business Against Litter survey scored Swords the worst litter blackspot in the country. Following a huge improvement to litter in the town, in their 2011 survey Swords was declared the second cleanest town in Ireland. The cleanliness of Swords has hugely improved in recent years. In 2003 the Irish Business Against Litter survey scored Swords the worst "litter blackspot" in the country. Following a huge improvement to litter in the town, in their 2011 survey Swords was declared the second cleanest town in Ireland. Swords is situated roughly in the centre of the county of Fingal and the ancient barony of Nethercross. The Ward River, coming from County Meath, runs west to east to near the centre of the town, and then turns to run north, before flowing into the Broad Meadow Water or Broadmeadow River. A small stream joins the Ward near the town centre and the holy well. The Broadmeadow, also flowing from Meath, borders the north of the town. It runs from Dunshaughlin in the west and across the north of Swords, before receiving the Ward and flowing into the wide Broadmeadow Estuary, then into the Irish Sea past Malahide. The estuary is crossed by a railway embankment and bridge from Malahide. Swords is surrounded by a green belt. Dublin Airport has prevented the town from expanding further south and the large Broadmeadow Estuary and town of Malahide limit expansion further east. To the north and west of Swords there is sparsely-populated, relatively flat, farmland. The civil parish of Swords mainly lies in the ancient barony of Nethercross. [N 3] Swords Demesne is the name of the townland in the heart of the urban town of Swords. [N 4] It is one of 58 such geographic units in the civil parish. However, a single parcel of land, 5 acres in extent, is situated in the barony of Coolock[N 5] as an exclave of the civil parish proper. There are 10 townlands in the electoral division of Swords, which is not co-terminous with the civil parish. The main retail area is located in the centre of the town, and includes Main Street, with the Pavilions and Swords Central combined shopping centres, and two smaller retail developments, Swords Plaza and Swords Town Mall. Most civic facilities are also in this central area, with some subsidiary shopping and civic centres in surrounding housing areas. The west of the urban area is mainly residential, with the neighbourhoods of Applewood, Rathbeale and Brackenstown to the north of the Ward River and Knocksedan, River Valley, Rathingle and Boroimhe to the south side of the river. The main business and industrial areas are located to the east of the town centre, along the R132 dual carriageway. These include Balheary Industrial Park, Swords Business Campus, Swords Business Park, and the Airside campus (Business Park, Retail Park and Motor Park). The neighbourhoods of Seatown, Holywell and Drynam are also to the east of the town core. Swords has a postal address of County Dublin, and an eircode "routing key" of K67. The climate of Swords is, like the rest of Ireland, classified as a maritime temperate climate (Cfb) according to the Köppen climate classification system. It is mild and changeable with abundant rainfall and a lack of temperature extremes. The hottest months of the year are June, July and August with temperatures of around 17 – 20 degrees. Swords gets rainfall all year round and the wettest months are October to January. Swords has developed into one of the largest urban areas in Ireland. The town's population boom began in the 1970s with the construction of the sprawling Rivervalley Estate, then Ireland's largest private housing development, ahead of Kilnamanagh Estate in Tallaght North. It continued during the 1990s and 2000s, with many new residents moving to the area due to its proximity to work at Dublin Airport and various industrial estates. At the 2011 census the total urban population of greater Swords was 42,738. This wider area of Swords had a population density in 2011 of 3765/km2, making it the most densely populated urban area in Ireland. Fingal County Council have referred to Swords as an "Emerging City", and have suggested that the overall area's population may reach 100,000 by 2035. Swords has good road links due to its proximity to Dublin city, which is the main focus for the Irish road network. The M1 Dublin-Belfast motorway passes along the eastern edge of the town and is the main route to/from Dublin City, Drogheda, Dundalk and Northern Ireland. The M50 Dublin semi-orbital motorway passes to the south of the town and provides connections with all of the other main roads out of Dublin (N2, N3, N4, N7, N81 and M11). The R132 dual-carriageway by-passes the centre of Swords, and runs south to Dublin Airport and north to Balbriggan. The proposed Swords Western Ring Road dual carriageway will run from the M1 at Lissenhall, north of Swords, along the western edge of Swords to the M2 motorway at Cherryhound. It will improve access to the western side of Swords and will also create a full ring road. Other main roads from Swords include the R106 to Malahide and Portmarnock, R108 to Ballyboughal and Naul, R125 to Ashbourne and the M2 motorway, R126 to Donabate and Portrane and R127 to Lusk and Skerries. The town's Main Street is served by routes 33, 33A, 33B, 33N, 41, 41B, 41C, 41X, 43, 102 and 142 as well as Bus Éireann routes 101 and 101n, and Swords Express routes 500, 500x, 501, 501x and 502. Buses operate between Swords and Dublin city centre approximately every 5 minutes throughout the day, through a combination of Dublin Bus routes 33, 41, 41B, 41C, 41X & 43, with a journey time of about an hour. Swords Express operate express services through the Dublin Port Tunnel which take about 35 minutes. Other bus routes serving Swords include the 102 to Malahide, Portmarnock and Sutton, route 33b to Donabate and Portrane, routes 33 and 33a to Lusk, Rush, Skerries, and Balbriggan and Bus Éireann route 101 to Balbriggan, Julianstown and Drogheda. Connect Bus and Coach operate route H1 every 20 minutes between Dublin Airport and the Travelodge Hotel in Swords. On 2 December 2018, Dublin Bus routes 33a, 33b, and 102 transferred to Go-Ahead Ireland. There are a large range of long distance bus services from the Atrium Road and Coach Park in Dublin Airport to various locations throughout the country operated by Bus Éireann and other private companies, including 50 daily services to Belfast (route 1/X2 & Aircoach), 12 to Derry (route 33 & John Mc Ginley), 11 to Letterkenny (route 32 & John Mc Ginley), 9 to Donegal (route 30), 3 to Sligo (route 23), 1 to Ballina (route 22), 52 to Galway (route 20, Citylink & gobus), 14 to Limerick (route 12 & JJ Kavanagh), 24 to Cork (GoBé & Aircoach), 6 to Clonmel (JJ Kavanagh), 21 to Waterford (route 4/X4 & JJ Kavanagh) and 31 to Wexford (route 2, Ardcavan & Wexford Bus). Swords has no railway services. The nearest railway stations are Malahide Station and Donabate Station. Malahide is served by the frequent Dublin area rapid transit service to Bray, through the city centre. Both Malahide and Donabate are served by Dublin – Drogheda commuter services. The Dublin city centre – Swords route is the busiest bus corridor in the country, and there are proposals for a new light rapid transit line, the Metro North line, to run from St Stephen's Green to Swords via the Mater Hospital, Drumcondra Railway Station, Dublin City University, Ballymun and Dublin Airport. Due to the financial situation, the €2.5 billion project was deferred, to be reconsidered should funding become available. In 2015, the Government announced that Metro North would be redesigned to a cheaper cost. Construction of the line would begin in 2021 and be completed by 2026. It is planned to carry over 34 million passengers a year and have capacity for 20,000 passengers an hour in each direction, and trains running up to every 2 minutes during peak times. Belinstown was originally proposed as the location for the metro depot, which would have created a lot of jobs for the Swords area. But planning permission was refused for all of the line north of the Estuary Stop, including the depot. It is now proposed to locate the depot in Dardistown by the M50, south of Dublin Airport. Dublin Airport, the main airport in Ireland, is located at Collinstown, several kilometres to the south of Swords. The airport has direct flights to Britain, Europe, North America, North Africa and the Middle East. Aer Lingus and Ryanair are the largest operators from the airport. In 2011, 18.7 million passengers passed through the airport, making it the busiest on the island airports by total passenger traffic. There are approximately 50 daily departures from Dublin to all six London airports (Stansted, Luton, Gatwick, Heathrow, London City and Southend). As of 2014, Dublin – London is the world's 2nd busiest international air route, behind Hong Kong - Taipei. There are over 40 daily departures to other UK airports. Knocksedan Heliport is a private heliport on the western side of Swords, run by Celtic Helicopters. The heliport has four hangars and they provide a helicopter wash facility and Jet A1 Fuel. Irish Helicopters also use the heliport. They provide aerial crane, filming and survey services, helicopter charter and maintenance, spraying and special project services. Some historical attractions are listed below. Many of these are promoted by Swords Historical Society. Swords Castle was built as the manorial residence of the 1st Archbishop of Dublin, John Comyn, around 1200 or a little later in Swords, just north of Dublin. It was never strong in the military sense, but covers a large pentagonal walled area of nearly 1.5 acres (6,000 m2) with a tower on the north, probably the Constable's residence, and an impressive gateway complex on the south. The warder may have occupied the quarters to the left of the gate, while to the right was the janitor's room with the priest's room overhead. The adjoining chapel, built in the late thirteenth century, was probably used as the Archbishop's private oratory. Other buildings, recorded in an inquisition in 1326, have now vanished, including the great hall on the east side of the enclosure. The Archbishop abandoned Swords once a new palace was built at Tallaght in 1324 – a move no doubt encouraged by damage sustained during Bruce's campaign of 1317. The stepped battlements suggest some form of occupancy during the fifteenth century, but by 1583, when briefly occupied by Dutch Protestants, it was described as "the quite spoiled old castle". It was used as a garden in the nineteenth century and sold after the Church of Ireland was disestablished. Swords Castle is undergoing a significant redevelopment and is intended to become a tourist attraction. The newly renovated castle was used as a film location for the production of TV series The Tudors in spring 2010. Swords Castle and Courtyard is open to the public from Monday to Friday by appointment only by calling 01 890 5600. On Well Road, and also known as St. Columb's Well. In a locked chamber. Reputed to be where Swords got its name when St. Colmcille blessed the well of clear water, 'Sord' being the Irish for 'clear or pure'. The round tower is the surviving remnant of St. Colmcille's monastic settlement. The only remaining relic of the medieval church is its belfry, from c. 1300, which is open to the public in summertime, when fine days afford the visitor a view of four counties from the tower's height. The original church is said to have fallen into ruin sometime in the seventeenth century. The new church of early Gothic style was built in 1811 on the foundations of the old. The Sexton's Lodge is also of architectural interest and was built in 1870. The body of Brian Boru was said to have been brought there in 1014 to be waked after the Battle of Clontarf, while on the way to be buried in Armagh. Dating from around 1730, the Old Vicarage is now an apartment complex with part of original building retained. Located on Main Street, the building was designed by noted architect of the time, Francis Johnston. The story of the school is well documented. In 2015, Wetherspoon bought the premises, and now operate The Old Borough as a public house. On Chapel Lane, a pre-Catholic Emancipation church built in 1827 on a site donated by James Taylor of Swords House. The graveyard contains many interesting headstones, including one for nationalist politician Andrew Kettle, who was known as "Parnell’s Righthand Man." Designed by Alexander Tate, Swords Courthouse is located on North Street, and was built in 1845 in Classical style. North Street – built in 1890. Now part of Fingal Community College. North Street, built in 1909. Redbrick building typical early 20th century. Now houses Swords Museum/Fingal Genealogy Centre. The award-winning modern Fingal County Hall by Bucholz McEvoy architects dominates the northern end of Main Street. It is built on the site of Swords House, the home of the Norman family, the Taylors of Swords. Records show the family arrived there in the 13th century and built a 'Mansion House' in 1403. Swords library belongs to Fingal Community. Among their regular services, Swords library takes in cultural activities for children and adults. It is placed at Rathbeale Road, Swords, Co.Dublin. The Ward River Valley Park is a linear park on the banks of the Ward River approaching town. It covers an area of 89 ha. (220 acres) between Swords town centre and Knocksedan Bridge. Features of interest include some 12th-century fortifications, woodland habitats, wetlands and rolling grassland. There are viewing points, picnic sites, sports pitches and tennis courts. Swords Town Park is a small park situated in the centre of the town of Swords, along the Ward River. It has tennis courts and a playground. Swords Castle lies within the park. It is the former residence of the Archbishop of Dublin and it is the only fortified residence of the Archbishop to survive in a reasonable state today (see above). Balheary Park is north of the town centre near the confluence of the Broadmeadow River and the Ward River, which flow to the northern and southern edges of the park. It meets Swords Business Campus / Balheary Business Park on three sides, and has some playing pitches which are used by St. Colmcille's GAA club. In mid-2006, Fingal County Council built a skatepark and adjoining basketball courts/football court in Balheary Park. The park contains a bowl, a vertwall, a spine, some quarterpipes, and a section of boxes in the middle of the park. The Broadmeadow Linear Park is a small park north of Applewood along the Broadmeadow River. Fingal County Council plan to extend the park eastwards to Balheary Park and westwards into the proposed Swords Regional Park. A 65 ha. new regional park for Swords is to be formed north-east of Swords, stretching from the Rathbeale Road to the Broadmeadow River. The park will be immediately west of Oldtown and adjoining and ultimately extending into the Broadmeadow River Valley Linear Park. The Park will serve Swords and its hinterland, and will comprise active recreational and passive activities, commensurate with the Council's vision for the emerging city of Swords. A little south of Swords, the National Show Centre is a modern exhibition and conference venue near to Dublin Airport. It is owned by the Irish Kennel Club, who use it as their main venue for dog shows in Ireland. The National Show Centre is used as the count centre during elections for the Dublin Fingal constituency. In September 2013 a local campaign group approached Fingal County Council about the construction of a BMX track in the town. Fingal County Council said it has identified an area of the Ward River Valley that would be suitable for a BMX track, which could be developed quite quickly into a basic facility and improved over time. Prior to any works happening, the first stop is the formation of a club which would be fully insured and act to manage the facility. Swords Boxing Club is located in the former Carnegie Library on North Street. The club was established over 50 years ago and hosts many tournaments. Fingal Boxing Academy is affiliated with the Irish Amateur Boxing Association, was the first boxing club in Ireland to train female boxers and has trained several national champions. The club is located in Rivervalley, Swords. There are several golf courses close to the town, namely Swords Open Golf Course, Forrest Little Golf Club, Roganstown Golf and Country Club and Balheary "Par 3" Golf Course. There are also several driving ranges in the area with the Drynam Golf Centre being the first Driving Range in the country with automated tees. Fingal Orienteers have mapped the Ward River Valley park, and the surrounding estates of Swords Manor, Brackenstown, River Valley and Knocksedan, and regularly hold orienteering events in the area. They are also working on a new International Sprint Standard Orienteering map of the Applewood and Glen Ellan areas. Swords Celtic FC, established in 1962, this club is the most successful in the town. The club has four Senior teams playing in the Leinster Senior League and over 30 schoolboy/girl teams playing in the NDSL Leagues. The main pitch and clubhouse are located at Balheary, Swords, the club also has two floodlight seven a side pitches. Rivervalley Rangers, established in 1981. The Fingal Horticultural Society holds their annual flower show in Swords every August. It includes competition classes in Cut Flowers, Hanging Baskets, Pot Plants, Flower Arranging, Fruit, Vegetables, Cookery, Wine Making, Photography, Painting and Handcrafts, as well as special classes for children. The Fingal Horticultural Society also hold an annual Garden Competition, Allotment Competition and Pub Frontage Competition in Swords. The first Flavours of Fingal Show took place on the 21 and 22 July 2012 in Newbridge House near Donabate. The Flavours of Fingal Show combined the sights and sounds of an agricultural show. The farm section of the two-day show featured a program of livestock and sheep competitions, equestrian contests and other agricultural displays. Meanwhile, the historic walled garden of Newbridge House hosted the food producers section of the show and features an array of favourite local delights, cooking demos and all things food in Fingal. Also on offer over the course of the weekend were family and musical entertainment and a programme of walks, talks and festival antics. In 2012 over 80 dog shows were held in the National Show Centre. The Celtic Winners Dog Show, held on St. Patrick's Day, is the most prestigious dog show in the country. The first Fingal 10k Road Race took place on 22 July 2012 on the roads around Swords. It was part of the Dublin Race Series, a series which culminates in the Dublin Marathon. Over 4200 people entered the first race. Michael MacDiarmada was the winner in a time of 00:31:31 and Siobhan O' Doherty was the first woman over the line in a time of 00:35:30. The event went well and since then it has been run annually. Swords is the home to a large retail and business park called Airside Retail and Business Park, on the southern fringe of the town, hosting many employers, including the European Headquarters of Kellogg's. Ingersoll Rand also has its corporate headquarters in the Airside Business Park. East of the town, running parallel to Swords bypass, lies the large Swords Business Park, where The Hertz Corporation have a Shared Services Centre. Swords also has a wide range of shops, banks, pubs and other businesses. These include one very large modern shopping centre, the Pavilions Swords, off the R132, the recent extension of which has a multi-screen cinema; it also has branches of Penneys, SuperValu and Dunnes Stores. Several smaller shopping centres also exist. Swords is the closest town to Dublin Airport and the airport has provided a lot of employment to the area. In 2011 the airport handled over 18.7 million passengers and served over 171 routes with 62 airlines. The airport serves as an operating base for Aer Lingus, Aer Lingus Regional, Air Contractors, CityJet, Ryanair and Thomson Airways, and as a maintenance base for Aer Lingus, CityJet, Dublin Aerospace, Eirtech Aviation, Etihad Airways and Ryanair. The Irish Aviation Authority operate the Dublin Air Traffic Control Centre on the airport. The headquarters of the Dublin Airport Authority and Ireland's four largest airlines are located in or near Swords. The Dublin Airport Authority, who manage Dublin, Cork and Shannon Airports, employ over 3,000 people and have their headquarters on the airport campus. Aer Lingus, Ireland's flag carrier, have their headquarters on the Dublin Airport campus. CityJet, part of the Air France-KLM group, has its headquarters in Swords Business Campus and Air Contractors, part of the ASL Aviation group, has its head office on the Malahide Road in Swords. On Monday 27 January 2014 Ryanair, Europe's largest low-cost airline, officially moved into their new €20m, 100,000 sq ft Dublin Head Office in Airside Business Park, having outgrown their previous office based within Dublin Airport. The building was officially opened on Thursday 3 April 2014 by Taoiseach Enda Kenny, Minister for Finance Michael Noonan and the Lord Mayor of Dublin Oisin Quinn. In 2007 Tesco Ireland opened their new €70 million distribution centre in Lanestown, between Swords and Donabate. With a building footprint of over 68,000 m2 and a total volume of 1.55 million m2 the Tesco Ireland distribution centre is the largest building on the island of Ireland and the 9th largest building in the world. The building is over half a kilometre long and could fit 16 jumbo jets. It employs over 600 people and can process 1.5 million cases a week. It has 106 loading bays and supplies 106 stores up to 6 times a day. Swords is the home to several international chemical producers and pharmaceutical giants, including Opec. Merck Sharp & Dohme (formally Organnon) employ over 500 people in their facility in Drynam, which manufactures women's health, anaesthesiology and mental health products. Bristol Myers Squibb employ over 400 people in their Swords Laboratories bulk pharmaceutical plant on Watery Lane. The Lonza Group employ 45 people in their European manufacturing facility for personal care and industrial biocides, also on Watery Lane. Swords is located in the heart of Fingal, sometimes promoted as "the Food County," and is surrounded by farms growing various crops, including potatoes, wheat and barley. However unlike the rest of Fingal, a lot of the food distributed from Swords has been imported from abroad. FoodCentral, marketed as "Ireland's national food park," is being developed south-west of Swords. When complete it will cover an area of 113 hectares. The Keeling's Group, who employ over 1700 people, have their headquarters in FoodCentral and use a lot of land around Swords. The Keeling's Farms division annually grow 2,500 tonnes of soft fruits/berries from 5 hectares of glasshouse, tunnel and field crops in Swords. They grow Bramley apples in 139 acres of orchards and lettuce in 8 acres of glasshouses. Inside FoodCentral they have the only pepper growing facility in Ireland. Their 5 hectare high technology glasshouse produces 1,500 tonnes of red, orange, yellow and green peppers annually. The Keeling's Multiples Division have a 12,500 square metre refrigerated facility in FoodCentral. They operate a large banana ripening facility for Chiquita which ripens over 3 million bananas each week. They also have separate ripening rooms for "Ready to eat" lines, such as peaches, pears, plums and avocados. Total Produce, Ireland's largest Agribusiness have two large facilities in Swords. Their facility in Swords Business Park includes a distribution and ripening centre for Fyffes Cape, Outspan, Green Ace and TOP Fruit products. Their "Uniplumo" facility on the Rathbeale Road, has 46,000 square metres of glasshouses for growing plants, flowers and tomatoes. There is also a FÁS training centre, the Fingal Adult Literacy and Education Centre, and a beauty college registered with ITEC & CIBTAC called Lenagh's College. Roman Catholicism is the predominant religion in Swords. The town has six Roman Catholic churches. St. Colmcille's, the Church of the Visitation and Our Lady Queen of Heaven are all within Swords parish. St. Cronan's and St. Finian's each belong to distinct parishes, while the Church of the Immacuate Conception lies within Donabate parish. There are also a further eight Christian churches and a retreat centre. Swords Historical Society was founded in 1982, and its volunteers have worked to record, promote and preserve all aspects of the heritage of the greater Swords area. The Society's Museum and Heritage Centre at the Carnegie Library on North Street is run by volunteers and is open weekdays from 1 p.m. to 4.30p.m. There is a collection of old photos and artefacts on display. Their oral history project has produced the annual 'Swords Voices' publication, which has chronicled the memories of local people, thus creating a unique social history of the area. Saint Colmcille, founder of Swords. Eleanor Ambrose, Catholic heiress, is from Swords. Conan Byrne, Irish footballer, is from Swords. Ed Byrne, comedian, is from Swords. Jason Byrne, comedian, lives in Swords. Bill Cullen, businessman, presenter of TV show, "The Apprentice", owns and works in Europa Academy in Swords. Duncan Campbell, video artist, won 2014 Turner Prize, grew up in Swords. Paul Flynn, Dublin and Fingallians GAA player, lives in Swords. Ronan Keating, singer-songwriter, lived in the Highfields residential development on the town's southern side. Aidan McGrath, Irish Youth Activist, born in Swords. Richard Montgomery, hero of the American revolution, born in Swords. Blessed Francis Taylor, former Mayor of Dublin, martyr, born in Swords. Matt Doherty (footballer, born 1992) Irish footballer. Applewood, a neighbourhood in northwestern Swords. Brackenstown, a neighbourhood in western Swords. Holywell, a neighbourhood in southeastern Swords. Knocksedan, a neighbourhood in western Swords. Rathbeale, a neighbourhood in western Swords. ^ "Diméin Shoird/Swords Demesne". Logainm.ie. ^ "An Chrois Íochtarach/Nethercross". Logainm.ie. ^ "History Of Swords Dublin". swordsdublin.net. ^ "Retail Excellence Ireland Survey 2012" (PDF). Archived from the original (PDF) on 25 October 2012. ^ a b "Irish Business Against Litter Survey 2011" (PDF). ^ "Irish Business Against Litter Survey 2003" (PDF). ^ "Dublin 1981–2010 averages". www.met.ie. ^ "Coach and Airport Bus Services To and From Dublin Airport". www.dublinairport.com. ^ "Bus Éireann - View Ireland Bus and Coach Timetables & Buy Tickets". www.buseireann.ie. Archived from the original on 28 July 2012. ^ "Aircoach timetables". Archived from the original on 5 July 2012. ^ "John McGinley Coaches". www.johnmcginley.com. ^ "Citylink timetables". Archived from the original on 8 July 2012. ^ "Direct Galway to Dublin City & Dublin Airport Bus Service- Free Wi-Fi - Power Sockets - On-board Toilets - Non Stop Dublin to Galway Coach Service - Gobus - Great Fares from only €12". www.gobus.ie. ^ "JJ Kavanagh timetables". Archived from the original on 18 June 2012. ^ "Ardcavan timetables" (PDF). Archived from the original (PDF) on 13 September 2012. ^ "Dublin to London is second busiest international air route in world - report". ^ Limited, Art Department (Aberdeen) (13 November 2017). "PDG Aviation Services - Helicopter Lifting, Filming & Charter". ^ a b "swordsheritage". www.swordsheritage.com. ^ "Around Swords History". homepage.eircom.net. ^ Council, Fingal County. "404 Error : Fingal County Council". www.fingalcoco.ie. ^ "Home - National Show Centre". NSC. ^ "HugeDomains.com - SwordsDublin.com is for sale (Swords Dublin)". www.swordsdublin.com. ^ "Rivervalley Taekwon-Do Club". www.facebook.com. ^ "Shika-Do Karate Classes Dublin". shika-do.com. ^ "Swords Manor Football Club". www.swordsdublin.net. ^ "Swords Rovers Football Club". www.swordsdublin.net. ^ "Fingal Horticultural Society & Flower Show, Swords, North Dublin, Ireland » Gardening, growing and horticulture in Fingal". www.fingalhorticulturalsociety.com. ^ "Flavours of Fingal". Flavours of Fingal. ^ "SSE Airtricty Dublin Marathon 2015". SSE Airtricty Dublin Marathon 2018. ^ "Contact Us Archived 2 January 2011 at the Wayback Machine." Ingersoll Rand. Retrieved on 18 January 2011. "Global Headquarters 170/175 Lakeview Drive Airside Business Park Swords, Co. Dublin Ireland." ^ "Live Flight Information and Status Updates - Dublin Airport". www.dublinairport.com. ^ "Eirtech Aviation". Archived from the original on 5 February 2012. ^ "News - Etihad Airways". Etihad Global. ^ "Irish Aviation Authority". Archived from the original on 6 January 2012. Retrieved 12 July 2012. ^ "Company Profile - daa". Archived from the original on 5 July 2012. ^ "Contact Us - Aer Lingus". www.aerlingus.com. ^ CityJet. "CityJet - Contact Us". www.cityjet.com. ^ "Air Contractors". Archived from the original on 17 July 2012. ^ "Tesco Ireland Case Study: Pallet Racking, Mesh Shelving, Mesh Partitioning". www.euromech.ie. ^ "MSD Ireland". Archived from the original on 2013-01-29. ^ "Lonza Swords". Archived from the original on 12 June 2012. ^ "FoodCentral - Homepage". www.foodcentral.eu. ^ "Keeling's Group". Archived from the original on 8 January 2013. ^ "Keeling's Farms". Archived from the original on 27 March 2013. Retrieved 20 October 2012. ^ "Keeling's Multiples". Archived from the original on 27 March 2013. ^ "Chiquita Bananas". Archived from the original on 9 September 2012. ^ "Total Produce". Archived from the original on 21 August 2014. ^ "The Top Agribusiness Companies on Top1000.ie". Top 1000. ^ "Fyffes Swords". Archived from the original on 8 June 2012. ^ "FPC Newsdesk". www.freshproduce.org.uk. Archived from the original on 24 September 2015. Retrieved 15 July 2012. ^ "Gaelscoil Bhrian Bóroimhe - Failte - Welcome". www.gsbb.ie. ^ "Swords Educate Together National School". www.swordseducatetogether.ie. ^ "Thornleigh Educate Together National School". Archived from the original on 13 July 2012. ^ "St. Cronan's Junior National School Brackenstown, Swords". St. Cronan's Junior National School Brackenstown, Swords. St Cronan's Senior National School, Swords. ^ "St. Colmcille's B.N.S., Swords". homepage.eircom.net. ^ "St. Colmcille's Girls' N.S. - Fáilte chuig suíomh idirlíon Scoil Cholmcille na gCailíní". www.stcolmcillesgns.scoilnet.ie. ^ Staff, School. "Holy Family Junior National School". www.hfjns.scoilnet.ie. ^ "Holy Family Senior National School". Archived from the original on 2009-06-18. ^ "Home - Holywell Educate Together National School". Holywell Educate Together National School. ^ "Colaiste Choilm Swords – Colaiste Choilm Swords". www.colaistechoilmswords.ie. ^ "St Finian's Community College - Coláiste Fhionáin". stfinianscc.ie. ^ "Accounting Technicians Course & Qualification". www.accountingtechniciansireland.ie. ^ "Portobello Institute. 43 Lr Dominick St, Dublin 1, Ireland. +353-1-8920000 - Portobello Institute". www.portobelloinstitute.ie. ^ "National Learning Network - Home". www.nln.ie. ^ "Home - adult and further education Balbriggan, Swords, Fingal Adult Education, Skerries, Rush, Lusk, Stamullen, Gormanston, The Naul, Swords, Donabate, Portmarnock, Garristown and North Dublin". www.fingaladulteducation.ie. ^ rudden@indigo.ie, R Rudden -. "Swords Youthreach". www.iol.ie. ^ "Dublin English School - Irish College of English". ^ "CMSE: Chris Mee Group: Safety Consultants Trainers Ireland Dublin". Chris Mee Group - CMSE. ^ "St. Colmcille's Church". Archived from the original on 21 August 2012. ^ "St. Finian's Church". Archived from the original on 17 May 2013. ^ "Church of the Visitation". Archived from the original on 21 August 2012. ^ "Churches - Donabate, Portrane & Balheary Parish". www.donabateparish.ie. ^ "Our Lady Queen of Heaven Chapel". Archived from the original on 21 August 2012. ^ "St Columba's Parish Swords". St Columba's Parish Swords. ^ "Church in Swords Dublin - Swords Baptist Church – Church community meeting in The Riasc Centre, Feltrim Rd, Swords, Co. Dublin". www.swordsbaptistchurch.com. ^ "低用量ピルを購入するなら、断然通販がお得！". www.missinganswer.org. Archived from the original on 2013-04-15. ^ "Welcome to Apostolic Faith Church". www.apostolicfaith.org.uk. ^ "Jacobite Church, Swords, Ireland". www.jacobitechurchswords.com. ^ "Kingdom Hall, Kettles Lane". Archived from the original on 4 March 2016. Retrieved 8 December 2018. ^ "Emmaus Retreat and Conference Centre". Archived from the original on 3 November 2012. ^ "Ireland's largest mosque gets approval from An Bord Pleanála". Wikimedia Commons has media related to Swords, Dublin. 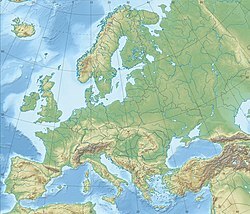 Wikivoyage has a travel guide for Swords. This page was last edited on 24 March 2019, at 19:22 (UTC).